Spicy Chicken Wrap, Grilled chicken with melted cheddar, yellow rice, onions, tomatoes and mixed greens on a sundried tomato wrap with spicy ranch. It doesn’t look like it, especially per this post lacking the item, but Christine and I have been on the hunt for some awesome macaroons. 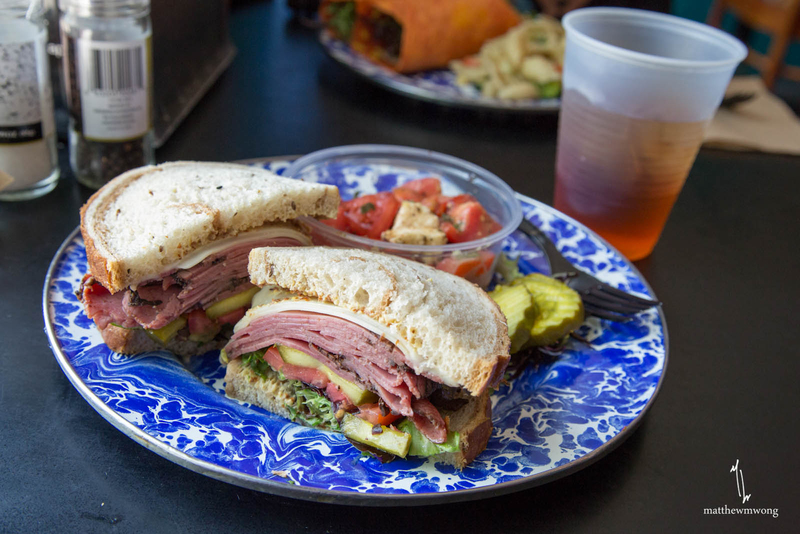 During such a search, we came across Bleu House Market (right next door to Bleu House Cafe) and during some internet research of sorts, lunch here sounded pretty good. 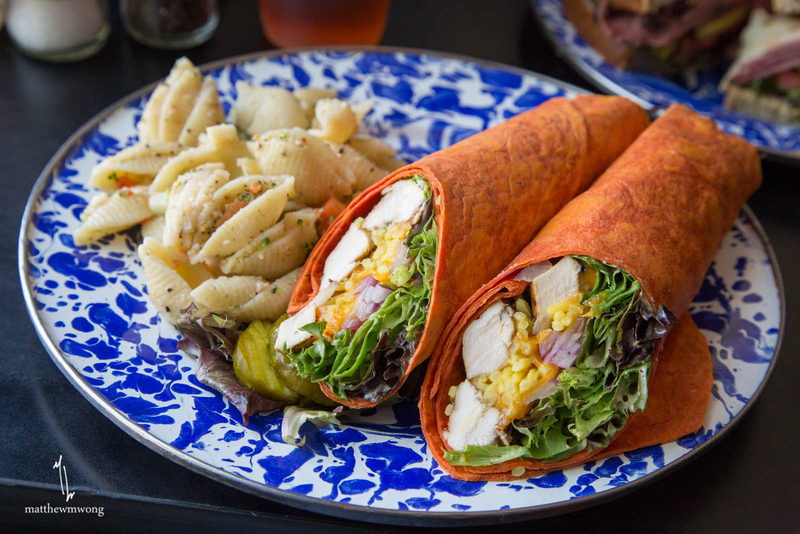 I don’t know about you, but the vibrant colors of the blue plates and the sundried tomato spicy chicken wrap is rather inviting at this point in time, especially it being lunch time right now.. mmm.. There is a gravel parking lot on the back of the eatery.